In 2012, SAIIE started its first study abroad/athletic program with the launch of the Soccer Program. With the program gaining such momentum and success, SAIIE has since continued to develop and expand upon its element of athletics. Today, SAIIE offers programs in the following sports: soccer, swimming, basketball, volleyball, rowing, water polo, and rugby. This program is the perfect combination of sport and study, offering student athletes the chance to add a sports element to their academic studies at SAIIE. It allows them the opportunity to maintain their home sports and times during their stay abroad here in Seville. The athletic programs that are hosted in Spring/Fall include soccer, volleyball, rugby and water polo. The Summer program covers basketball, swimming, rowing and rugby. All athletic programs take place during the student's respective off-season, so that they are eligible to earn academic credit at the same time. 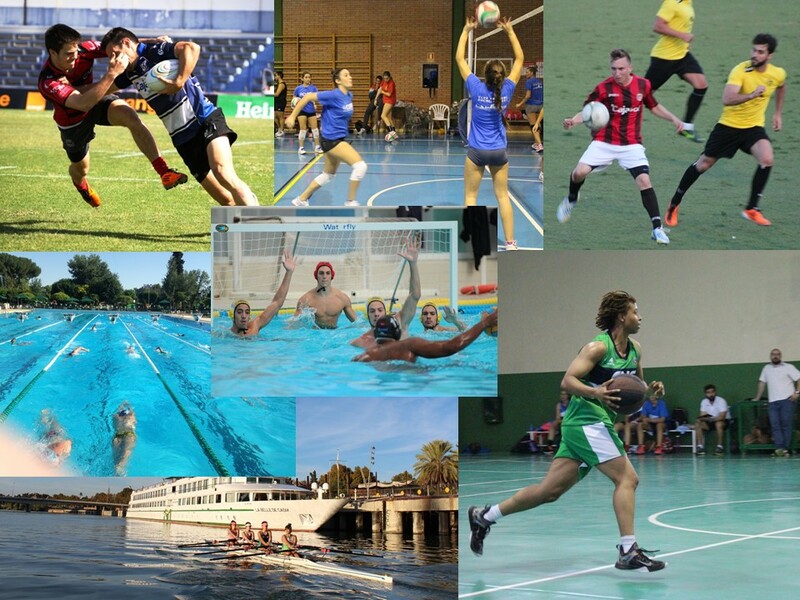 Furthermore, SAIIE is associated with several local Sevillian sports clubs, allowing for us to place students in teams for weekly training sessions and friendly matches. The benefits to this combined program of academics and athletics are extensive, but what it does above all, and most effectively, is give a sense of total immersion into the Hispanic culture and Sevillian dialect for the student athletes. With this, they are guaranteed a valuable education in both sport as well as language. WHAT DOES THE NCAA SAY ? “In Division I, approximately 27 percent of student-athletes have either studied abroad or plan to do so” “For Divisions II and III, roughly 30 and 40 percent of student-athletes, respectively, have studied or plan to study abroad” NCAA, 2015. If you are interested in SAIIE´s academic-athletic program and would like to try it out, let your coach know in advance. Explain your reasons for wanting to participate in the program, and how this will benefit your college education as well as future. Coaches should be lenient and supportive of your decision, as this program has been created to make sure that your home sport is not neglected on your studies abroad. Discuss with them the ways in which you plan to stay proactive whilst you participate in this study abroad/athletic program in Seville, Spain.